UL fire rated floor/ceiling assemblies and roof/ceiling assemblies require specially tested and classified ceiling dampers (also called Ceiling Fire Dampers or Heat Radiation Dampers) to provide proper protection where HVAC components penetrate the ceiling membrane. Standard primary fire dampers (1-1/2 hour and 3 hour) do not provide the necessary fire and heat protection. 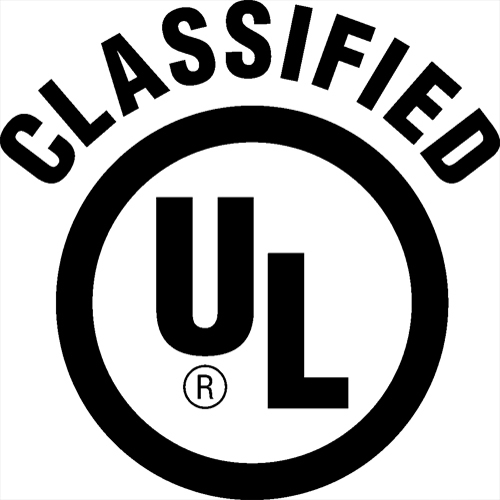 UL classified Model 615 ceiling damper may be substituted for each 113 square inch or larger steel duct outlet protected with a hinged sheet metal damper in any floor or roof/ceiling design with a restrained or unrestrained assembly rating of 3 hours or less. 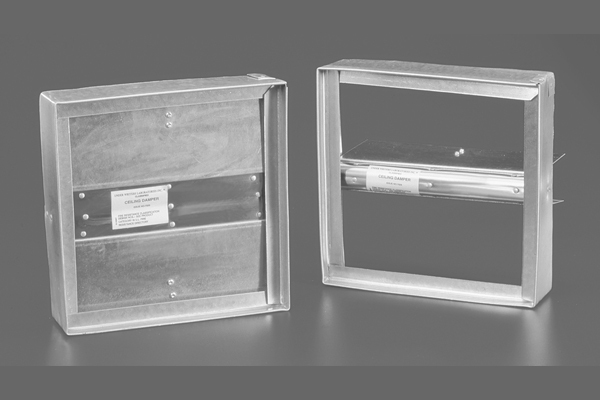 Thermal barrier supplied on units larger than 70 square inches. Smaller sizes do not require thermal barriers on blades. Frame and Blades: Minimum 22 gauge galvanized steel. Fusible Link: UL Listed 165 degree standard or 212 degree optional. Thermal Barrier: Non-asbestos ceramic blanket. 6" x 4" 18" x 18"
20" x 20" 24" x 24"